Disclosure, We were compensated for this review, all opinions are myself and honest. When you venture out to Incredible Pizza, you have one thing mind. How can I keep the kids fed before they journey to the gaming area? Incredible Pizza has that covered with an array of items in their buffet, that rivals all buffets out there. 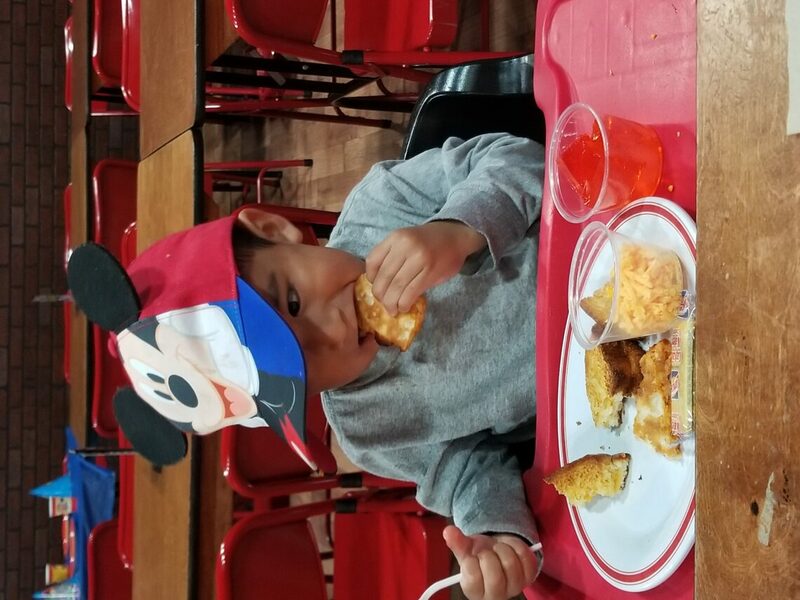 A 2 year old boy featured in the picture above is enjoying his meal. They have jello! Yes they have jello for the children! 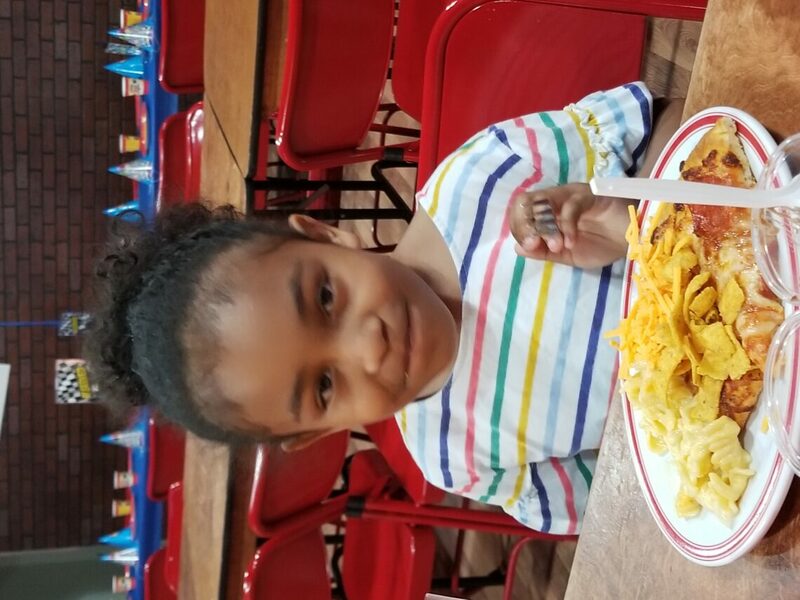 This 6 year old child is enjoying her pizza with tons of extra items including cheese and croutons. The creations children can make with the food there is just astounding. Children have so many choices to chose and can enjoy the food by eating tons of it. 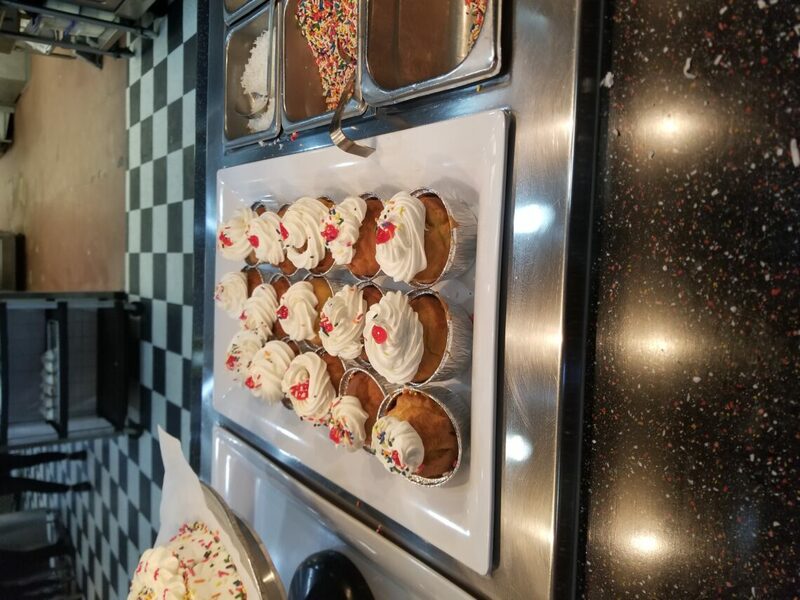 Any buffet isn’t without a dessert scene that highlights the things not only children love but bring memories back for adults. The cake, ice cream and of course cinnamon rolls were just astonishing to the smell when near them. I was able to watch people indulge with their sweet teeth. I of course had a great amount to eat as well. Thank you again for U.S. Family Guide for having us there with Incredible Pizza. The food and games were amazing and felt at home at your establishment. Here is a coupon to get a 99 cent all you can eat buffet with a 17$ Game Card Purchase!